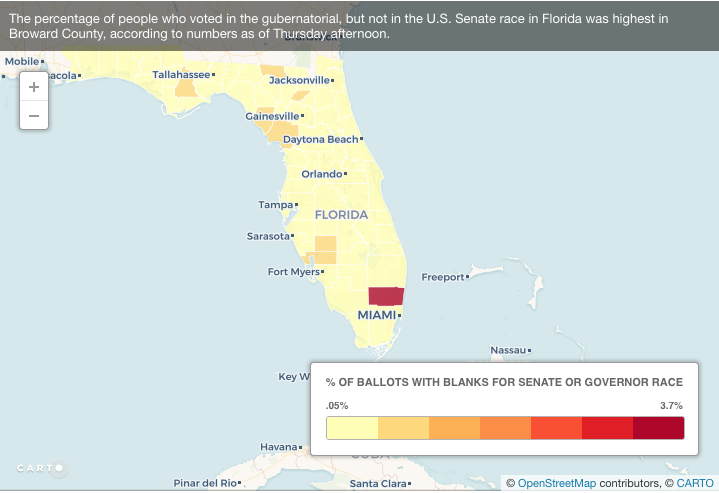 Florida’s Senate and governor races are all too close to call and undergoing a statewide recount. As of Monday night, November 12, Governor Rick Scott leads Senator Bill Nelson by 12,536 votes out of 8,183,660 cast, or 0.16%. In the race for governor, Ron DeSantis leads Andrew Gillum by 33,669 votes out of 8,218,631 cast, barely under half of a percent. These recounts are required by state law, not created by conspiracies. Arizona’s Senate race was also extremely close and days of careful tabulation and counting of every vote resolved without panic and hysteria. But in Florida — and in the White House — reckless hysteria is the order of the day with Scott shouting (without any evidence) about “voter fraud” and Trump demanding that the recount be stopped. Law enforcement officials and courts have rebuffed Scott’s panicked charges of fraud and his demands that voting machines be seized from Broward County. It shouldn’t be surprising to see Florida lean into chaos and drama, but the simple principle at play here is that every legal vote should be counted before a winner is declared. While it doesn’t appear that Andrew Gillum has a likely path to overcoming his narrow losing margin, Senator Nelson is within striking distance where a recount might make a difference. Both elections underscore how close these critical elections can be, and why even marginal efforts to suppress or restrict voting rights or to make voting more difficult, can easily swing the outcome. 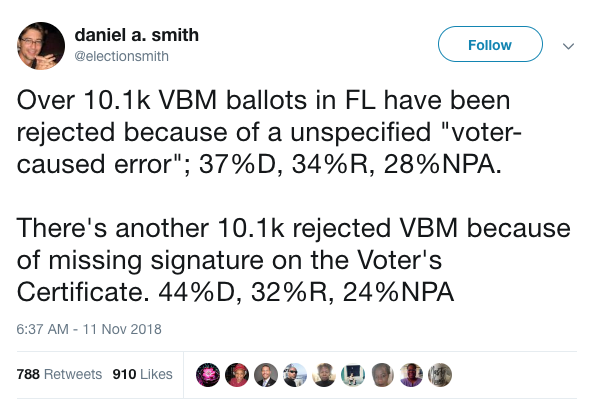 Speaking of small margins that can swing elections, consider this: in Florida, former Member of Congress Patrick Murphy discovered that his ballot had been rejected due to a “signature mismatch.” He sent in his vote with an absentee ballot and it was rejected because the signature on the ballot didn’t quite match the signature on his voting records. If a former Congressman’s ballot was rejected due to someone deciding his signature wasn’t quite right, how many others were similarly tossed in Florida? Daniel Smith, a political science professor at the University of Florida has some data on the matter. By his count, more than 20,000 ballots were rejected by the state on account of either a signature “mismatch” or a missing signature on the ballot. These ballot rejections disproportionately affect Democratic voters. But that’s beside the point — does it even make sense that tens of thousands of votes have been rejected based on signatures? Hard to argue that this is in anyone’s public interest. 3. Design matters. Again, and always. So what happened? 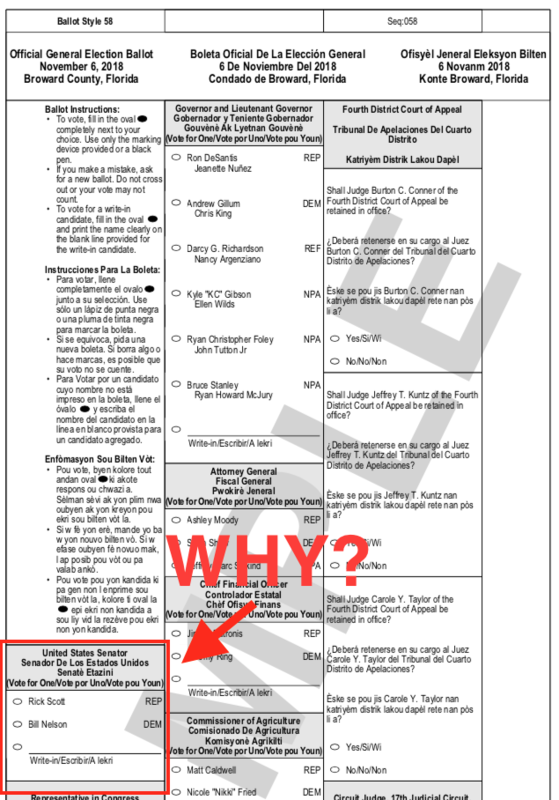 That answer, it seems, is bad ballot design. Eighteen years after the butterfly-ballot in the same Florida county almost certainly cost Al Gore the election to be President in 2000, bad ballot design may swing a crucial election yet again. This time, the ballot designer put the choice for Senate at the bottom left corner of the first page of the ballot, below a long list of instructions. While most voters still found it, it seems clear that about one in twenty voters didn’t see it. From a fundamental design standpoint, this is inexcusable. First, it buried arguably the most important or second most important race in the state in the bottom right corner of the page, rather than at a prominent spot at the top. Second, it is tucked below a long, multi-language box of instructions, which most voters are likely to skip or ignore. It’s not hard to see how many voters might not notice actual voting options below that tall column text. 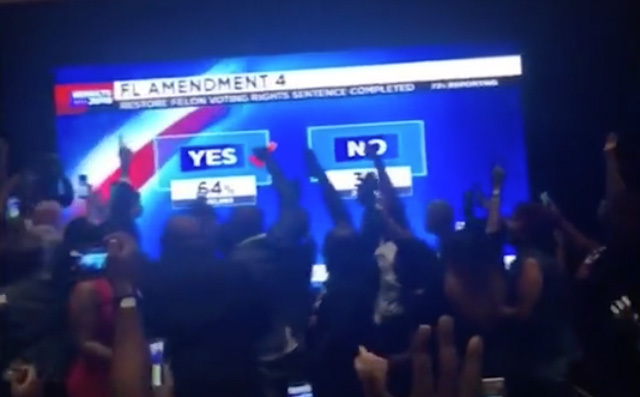 Before we move on from the headaches and heartbreak of Florida, there’s one huge, great bit of news from the Sunshine State from last week: 64% of the voters approved Amendment 4, which will restore voting rights to more than 1.4 million nonviolent felons, or as the initiative’s organizers more correctly put it, 1.4 million returning citizens. The Governor’s race in Georgia is extremely close, and has yet to be called. Democrat Stacey Abrams trails Brian Kemp by fewer than 60,000 votes out of 3,931,443 total. Abrams is fighting to make sure all provisional ballots — at least 22,000 remain — are counted. A judge this week ordered the state to delay the certification of the election results until all provisional ballots are verified. Provisional ballots are critical in Georgia this year, given a large number of voters who may have been improperly purged from the voting rolls or had their registrations delayed. For all affected voters, a provisional ballot may have been the only way for them to cast a ballot. Abram doesn’t appear to have enough votes to take a lead, but it may be possible for her vote total to rise enough to trigger an automatic runoff election in December if Kemp’s vote total dips below 50%. Purging 1.5 million voters from the rolls, one out of every ten voters from the state’s voter lists, just between 2016 and last week. Investigations this year revealed that at least 340,000 of those were improperly removed from the voting lists. Kemp’s office attempted to have absentee ballots tossed due to “signature mismatches.” A federal court had to order them not to do so. With this election coming down to a fraction of a percent, the final results, whatever they may be, will always be marred with the undemocratic stench of Kemp’s hostility to voting rights and how it potentially determined the outcome of the election. Last Tuesday, 13,949,034 more Americans voted for a Democratic senator than a Republican one, and yet the Democrats are likely to lose three seats in the chamber. Democrats overcame extreme gerrymandering to take back the House last week, but despite beating Trump by more than three million votes in 2016, and casting nearly 14 million more votes for Democratic senators, the GOP still controls the White House and the Senate. No, we can’t fix this — the fact that every state, regardless of population, gets two Senators is the “Great Compromise” built into the U.S. Constitution. But it makes it that much more essential for Americans to focus areas where election laws can be changed and improved to make things more democratic and responsive to the public interest. A “blue wave” last week may have flipped up to 40 seats in the House of Representatives, but none of them were in North Carolina. Although NC “swing” districts came down to close margins, none of them changed parties. If you want proof that gerrymandering can be overwhelmingly effective, look at the Tar Heel State. Statewide, there were more votes for Democratic members of Congress than for Republicans —1,747,742 to 1,669,865 — and yet the GOP still won 10 of 13 Congressional races. The devastatingly effective gerrymandered maps from 2011 continue to fundamentally undermine democratic representation of North Carolina citizens. Federal courts have twice ruled that North Carolina’s congressional districts are unconstitutional, and earlier this year, the state was ordered to redraw district maps before the 2018 election, but the court ruling came too late in the year, within months of the election, so for the third time, a court-ordered redistricting was delayed, allowing the voters in North Carolina to face the fourth straight election under unconstitutional maps. The same gerrymandered maps that rigged the state for the GOP in the House also created the disproportionate representation of GOP legislators in the state legislature, which has created overwhelming Republican majorities in both chambers at the state level. In the races for North Carolina state legislature this year, Democrats totalled more than 79,000 votes than Republicans, but the GOP still held onto 66 out of 120 seats. For the first time in years, however, there are signs that this all may be coming to an end. This week, the Democratic Party of North Carolina and voting rights groups filed a lawsuit in state court calling for an end to the partisan gerrymandering of state legislative maps. And with the veto-proof majority in the NC Assembly broken last week and a new 5-2 majority of Democratic judges on the State Supreme Court, odds look favorable that new voting maps may be in effect at all levels in North Carolina before the 2020 election. North Carolina may be looking at Pennsylvania as a model for how to uproot gerrymandering. 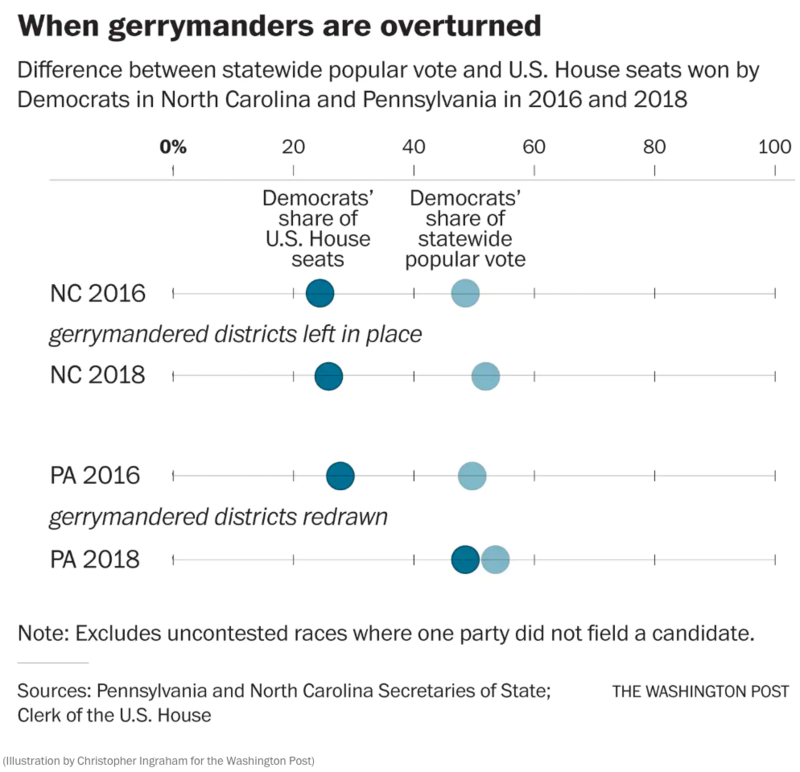 In Pennsylvania, the GOP had aggressively redistricted the state so that they effectively locked the GOP into 13 out of 18 congressional seats, despite the typical statewide vote being a 50/50 split between both parties. The Democratic Party challenged the partisan gerrymandering of Pennsylvania in state court as a violation of the state constitution. Then earlier this year, the Pennsylvania Supreme Court agreed that the maps were illegal, and ordered new districts to be drawn to replace them. According to the court ruling, the GOP gerrymander had “corrosive effects on our entire democratic process through the deliberate dilution of our citizenry’s individual votes.” After contentious battles in the state legislature, and failed appeals to the U.S. Supreme Court, Pennsylvania came up with new, less partisan, and more balanced district maps. The result last week? Statewide, 53% of voters chose a Democratic representative. Out of 18 Pennsylvania congressional districts, 9 went to Democrats, 9 went to Republicans. That’s about as fair and reasonable result as one could ask for. Every state should work this way. One state fixed its gerrymandering, one didn’t and the outcome is obvious. One state is now fairly representing its citizens, one isn’t. Overlooked in all the other big news last week: Michigan just made a leap forward in voting rights and fair elections. Since 2011, the state has been one of the most gerrymandered in the nation, leading to a glaringly skewed state government and congressional delegation. But last week it passed ballot initiatives that created an independent commission to handle redistricting, along with voting rights reforms that created automatic voter registration, same-day registration, and no-excuse absentee ballot. Overnight, Michigan became one of the most progressive states in the fight for voting rights and fair elections. Despite all that, the Michigan state legislature remains solidly in GOP control, thanks to state-level gerrymandering. Despite getting a minority of votes all state House and Senate races, Republican majorities continue 22-16 in the Senate and 58-52 in the House. Still, change is coming, and Michigan, like Pennsylvania, is heading in the right direction. 10. Voting Rights Supervillains lose in Wisconsin and Kansas. Few public officials nationwide have done more to make it harder for Americans to vote in fair elections than Wisconsin Governor Scott Walker and Kansas Secretary of State Kris Kobach. Both lost last week in their races for governor of their respective states. 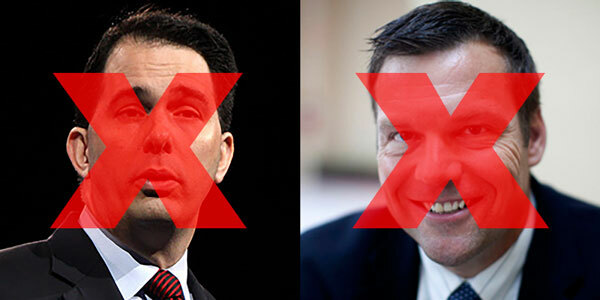 Instead of emboldening two of the worst offenders against basic democratic principles and fair elections, Wisconsin and Kansas will both have new governors with a clear commitment to voting rights. This is great for Wisconsin, for Kansas, and for America. There are still many daunting challenges in the fight to protect voting rights. The battle continues between now and 2020, and beyond. Threats loom from the White House, the Supreme Court, and states still under unified GOP control. But this past week was a big step forward in several states across the country. It’s a good time to feel a bit of hope and optimism. Anyone who cares about protecting our democracy has cause to celebrate… and then get ready. Democracy won a few battles last week, but the war is far from over.